1 in 4 students has an undiagnosed vision correction need in the United States. And OneSight is committed to changing that. 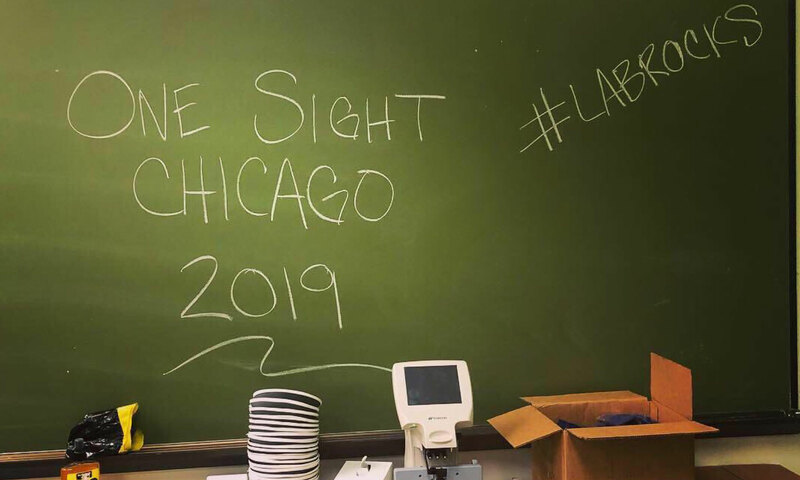 From March 11 -15, we partnered with Aetna and Chicago Public Schools (CPS) to offer free eye exams and glasses to hundreds of CPS students who would otherwise have limited or no access to vision care. Volunteers from around the country participated in setting up and running a charitable clinic on the Truman Community College campus. According to a study by OneSight and Deloitte, clear sight can dramatically impact learning. It helps students comprehend and learn up to twice as much and can reduce drop out rates by as much as 44%. Vision changes can occur without a child or parent noticing them. So it’s important for students to receive an eye examination every year, or more frequently if recommended by an eye doctor. Yet over 55,000 CPS students have minimal or no access to optometry and opthalmalogy services. OneSight and Aetna’s partnership was made to serve this vulnerable student population as well as help raise community awareness about the importance of vision care. You have the power to dramatically impact a student’s ability to learn. Donating just $30 can provide an eye exam and a pair of glasses to someone in need.